Box Zones enables organizations to address data residency obligations across multiple geographies, allowing them to raise the bar for privacy and control in the cloud. "Easy to Navigate Cloud File"
I like Box because you can access anywhere you have internet. Our business uses it all the time for our storage - eliminated file cabinets! We can share notes in the folders, notifications, easy to upload into. The other thing I like is that for personal use it has way more storage for a basic account than other cloud files. I also love the drag and drop feature. Being able to collaborate. Ease of uploading, saving and accessing files. Creating folders right in Box. The storage and shareable aspect of the product. It allows me to store and share information to my colleagues across our many campuses. It will also then provide/create a history of all our information, which is very helpful. I was a little worried I wouldn’t be able to figure out how to use it, but it is very easy to use. I was very hesitant to start, but very glad that I did. I highly recommend this product, especially if you have employees working from different sites. We use this for training and we also use it for storage for different groups across the university. It also allows multiple people to contribute, which is a very nice feature as well. What Data Privacy solution do you use? Box is easy to use to share files and assets that can't fit in e-mail.I like that I can upload files quickly and instantly have a share link to send to colleagues, or I can send via e-mail directly from box. I like everything about box. It might be unfamiliar to some people so they might be wary to open. Unfortunately my company uses Dropbox because it is more approved by our IT department. I think if box had more awareness, especially in a business sphere, it could generate a lot more clientele. Right now I think Dropbox is beating them in brand awareness. It's very similar to Dropbox so I would compare costs and see if your IT department approves either one for use as a company. Sharing large assets in an easy manner. Videos, photos, and files are easily uploaded and sent between users and non users. I like that not everyone needs an account to use this product. I also like that it's very straightforward, so even those who are not tech savvy can use it with no problems. "Box Zones: Just another file service?" Box Zones ultimately allows you as a company to manage private and encrypted data, placed in the cloud, across country borders, fully adhering to data-protection and privacy laws in accordance to each country that is compatible. It really just feels slightly outdated, even with the "collaborative" features that Box has put out recently. Give yourself and your team ample time to "play" with the UI and the features before fully implementing Box Zones. Data management across countries is definitely a huge benefit, especially seeing as how many of our clients do not reside in the United States. "Extraordinaria experiencia con Box Zone"
Box, soporte garantizado para el almacenamiento de datos. Garantizar data al alcance de los requerimientos desde cualquier ubicación. Flexibilidad de uso. Seguridad, transparencia y garantía de implementación. Hasta ahora no existe problemas con el uso del programa. Como usuario de Box, nos complace recomendar ampliamente. Su plataforma amigable, permite la carga y descarga de datos de manera rápida, segura y flexible sin dificultad alguna. Trabajar con Box Zones para el manejo de datos, nos ahorra y simplifica trabajo, permite a usuarios acceder sin dificultad al almacenamiento en en serie o masivo, su implementación es sencilla y audaz. Con la implementación de Box Zone, hemos logrado satisfacer el acceso a data desde cualquier lugar. Descargar o cargar información casí de manera instantanea. Su uso e implementación es seguro, flexible y rápido. "It helps manage your data"
I like how easy it is to integrate with any of your box cloud spaces! It protect your privacy and is one of the best cloud hosting services! The app also is great! Storing data to of my companies to share all over the web with clients and employees! 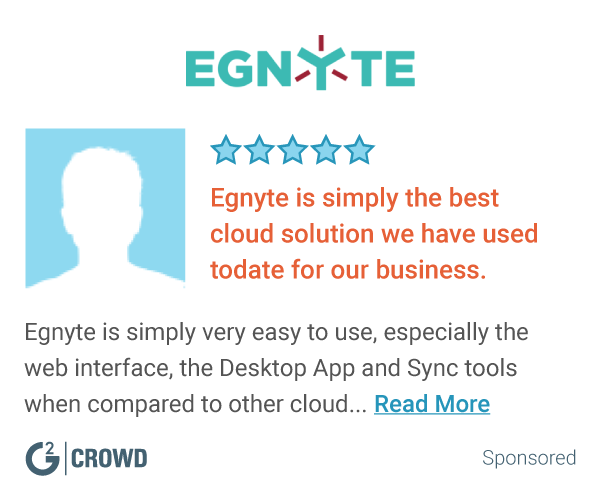 "One of the best cloud hosting platforms around!" Box Zones is an extremely organized way to store your files and data in a secured way. Cloud Storage and the elimination of GoogleDrive and Microsoft/Apple cloud based systems. "Very easy and safest way to use"
I like he Box Zones because you can manage the accounts easily, create fields and sort by different themes, which is easy to find then and create multiple files. Also Box Zones gives you huge number of place to save and what is very important is that this is very secured for your business. There is very little number of what I dislike in Box Zones, I would add more colors and visual sides in it. Also is would be grate is download system is going to easy somehow. I recommend Box Zones Business to have more easy interface, be more secured, btw you guys have very grateful support an backups! We support customers with their data and documentation via payments, so this is very important for us to be secured their documentation and information. "The best application to save files in the cloud"
I like the great ability of the application to have files in the cloud so that they can be viewed quickly and securely, as well as keep companies in contact and store information in a private and organized way. I would like it to have more global expansion, since it does not cover all countries and also that there are not so many options for companies that are outside of these countries. I have solved security and privacy issues in my shared files and those I upload in the cloud. Improve my productivity and my contribution thanks to this application. I love how you can upload a lot of items and give certain restrictions to certain people and full access to other. It’s great, I love it. There isn’t much to dislike. I like of wished it would load faster for certain things but nothing besides that. I would definitely recommend it. It’ll def help with storage and sharing and it will improve everything by a lot. It’s allowing me to store and share multiple files which I may not have space for on my hard drive. "The Best Software for Our Company"
We saw the most value from Box when we needed to collaborate files such as PowerPoints to external customers and partners. 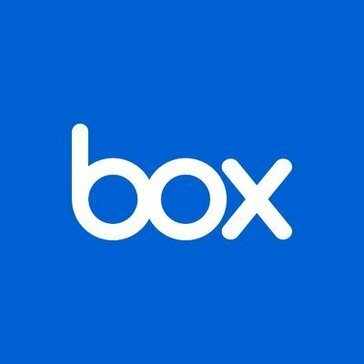 Box has a unique ability to allow to store files but also edit them in real time without having to download file, edit and repeat. The pricing structure. My organization didn’t see the long term value of using Box according to their pricing model so we never adopted long term. We still suggest to our customers to use it so we can edit with them. Obviously a big need for our customers is data protection and that’s what Box zones did for us. I can’t speak to more than that. It gave our customers ease to know we could share files safely. "The place to keep things"
What a great way to share and store files for you company or business. I love the fact that you can share folders with those who need access to. There really isn't much to dislike about this program. You are able to use it how you need it to help your business with storage needs. We are able to share documents and other files with easy. It help with having one place to go to find the files needed to complete a job. I work in real estate and box allows me to upload really large files that my company really relies on. There are many architectural drawings that we review in Box. Allows me to review and store very large files. Also allows me to share it with people I'm working with that I wouldn't be able to do over email. "Excellent data management tool for global datasets"
Not much is negative about Box Zones as the support is very good. I have been able to use Boz Zones to manage my client’s data internationally, while ensuring we do not fall foul of data rules in the different legal regimes. "BOX, work from any place, anywhere!" That you can locate your files at any place or time, there are no "borders" to where you can work and locate your files. Makes it easy to share files among co-workers etc. Nothing! I find it easy to use, and easy to locate. Being able to locate files when I am working for home or traveling. It was fairly easy it is to integrate your existing box account and had privacy protection and security. Nothing really, but it was definitely designed for larger scale projects so it was expensive for what we needed. If you already use Box for storage and you have large scale clients, projects, or need large storage capacity then this integration is good for you. No problems just the cost to use ratio. It was beneficial for cloud sharing. Using Box really made collaborating with my colleagues very simple. Everyone has access to everything and there is a place and a system. I don't have much that I dislike about it. There were moments when two people attempted to access things at the same time and it got weird. We had a lot of documents that everyone needed access to and having them all on everyone's computer in a system really helped organize. "My Review of Box Zones"
I love that you can access Box Zones any place you have internet, and that you aren't hindered by being away from your desk. This makes working remotely much easier than using a typical share drive. Nothing that I can think of, other than a more visual cue of a file being locked. Being able to access files with ease while keeping our information secure. "Satisfy International content writers need "
The best data storage with box Gives strong data protection.Allowing to companies to storage content around the world. Advertising must be there .Didn't know about it . Nice product for the good content writers. Giving full protection to your valuable data. So purchase this softwere & be relax for protection. Some content writing along with some some new technical articles. I have got good resultd from it. Box does a great job at having one hub in order to access all the documentation our org shares across all teams/BUs. Can sometimes be tough to navigate and locate specific items, but I think that's more on our end how we have documentation stored. Single source folder to find all documentation needed across all teams to find needed resources. Box is easy to use to share files that are too big too e-mail.I like that I can upload files quickly and instantly have a share link to send to coworkers, or I can send via e-mail directly from box. Not much to dislike. It is more expensive compared to other services. But it’s clean. We are looking to streamline client intake data and move towards a more consolidated approach to organizing company information. Give this a thorough try to get over the learning curve. I am solving data residency problem. Sometimes I need the data stored in a specific region. Easy to manage folders and files. Quick uploads. Easy to see and track iterations and maintain document control. Too easy to forget to lock a file and have duplicates when there are multiple collaborators. Take care to lock files prior to editing / opening. Easy location for remote employees to save work. That your cannot share the file easily. The user has to have an account to acesss. That you can have a live stream of data with files stored. Easy to share as a group. "Box Zone for Regional Data sharing "
Secured cloud for sharing in-region data storage with Box. Difficult to get others to adopt as it is very early in the roll out phase. Easy of sharing regional data via the box cloud with teams in Germany and across the states. Great concept and product to have your items in specific regions of this could service. Just didn't make business sense to go with the upgraded product. Just kept the standard business addition of Box. "Review to help users navigate box zones"
Very easy to use and has massive storage space. Can be used for most types of files. Not very popular and relatively unknown. Not great for collaboration. We are trying to access more storage and improve collaboration. There’s nothing that I dislike about it. * We monitor all Box Zones reviews to prevent fraudulent reviews and keep review quality high. We do not post reviews by company employees or direct competitors. Validated reviews require the user to submit a screenshot of the product containing their user ID, in order to verify a user is an actual user of the product. Hi there! Are you looking to implement a solution like Box Zones?